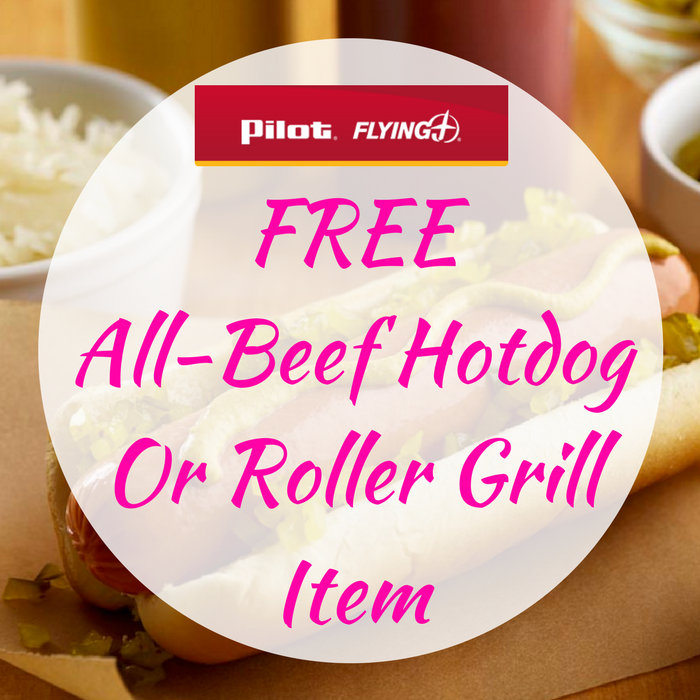 FREE All-Beef Hotdog Or Roller Grill Item! You are here: Home / FREEbies / FREE All-Beef Hotdog Or Roller Grill Item! On July 19 – 26, Pilot and Flying J Travel Centers will be offering a FREE All-Beef Hotdog or Roller Grill Item of your choice including: Jalapeno Cheese Hot Dogs, Cheese Smokies, Cheeseburger Links, Tornados, Chicken Rollerbites, Tamales and Eggrolls in celebration for the National Hotdog Day! All you need to do is present this coupon upon ordering. Mark your calendars now!